Provide comfort for the family of Matthew Briscoe with a meaningful gesture of sympathy. 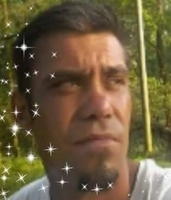 Services will be held at a later time for Matthew “Matt” Briscoe, 33, who passed away Saturday, February 2, 2019 in Branch. Survivors include his father, Mark Briscoe of Church Point; his paternal grandfather, Ralph Briscoe; one uncle Craig Briscoe. Matt was preceded in death by his mother, Annette C. Briscoe; two sisters, Kristie and Petra Briscoe; one brother, Tommy Briscoe; his paternal grandmother, Arleen Briscoe. You may view the obituary, sign the guest registry and express condolences online to Matt's family at www.duhonfuneralhome.com. Matthew is missed by so many people. He was a courageous young man who had already suffered do much. He didnt complain, he just made things happen. He will forever be my hero. Love you son. Peace, I am coming.